The calculator application can be seen here in standalone mode. 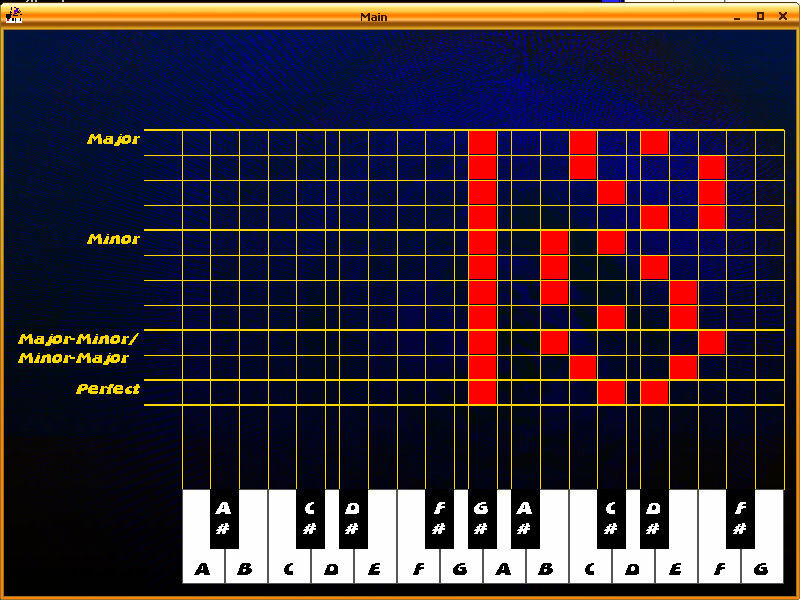 The user enters a note and its octave number and in return receives the groups of chords that can be derived from that note and the frequency of each derived note. 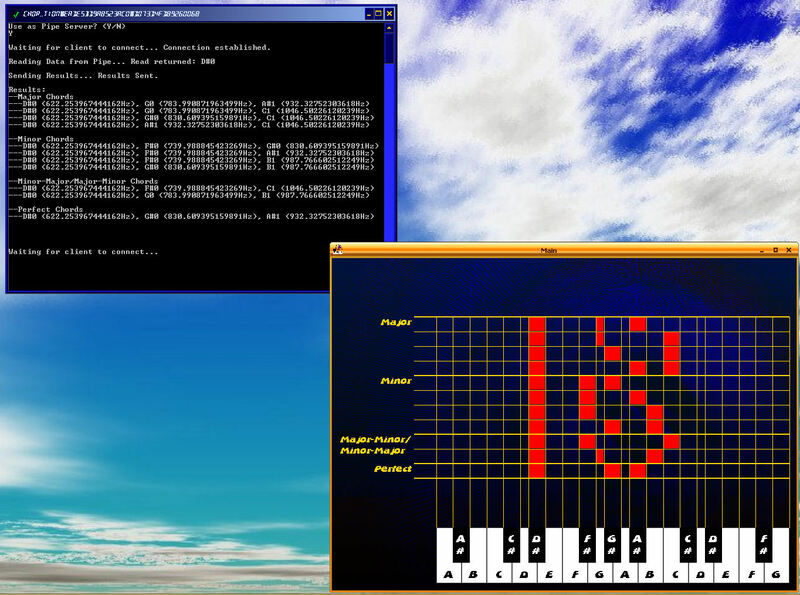 The keyboard is displayed to the left in standalone mode. 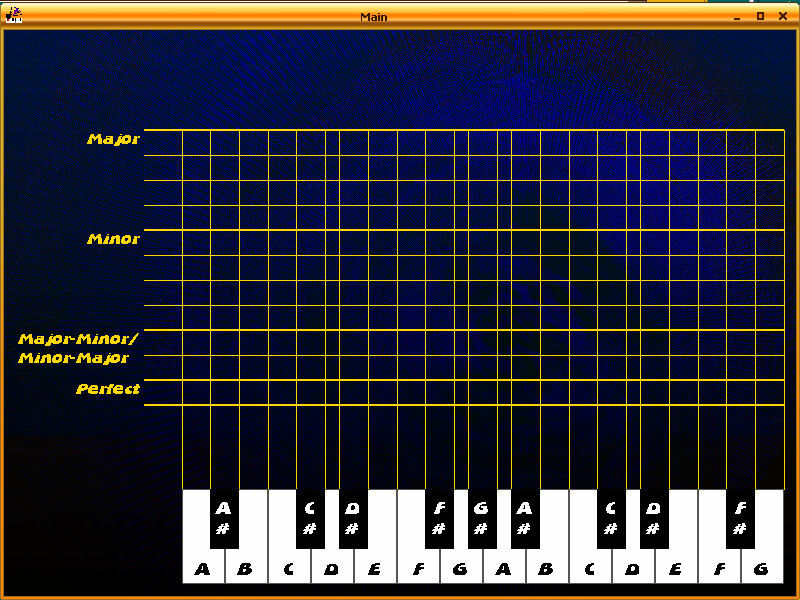 In standalone mode the user can operate the displayed keyboard as a normal musical keyboard: the user clicks a note, the sound for that note plays. All note sounds are derived from a single 440Hz sawtooth sample taken from a Korg Electribe EM-1/EMX; DirectSound is used to manipulate this sample so that its frequency may by changed to match any note played. To enter IPC mode the user must launch the calculator, set it as a pipe server and the launch a consonance keyboard which will act as a client application. 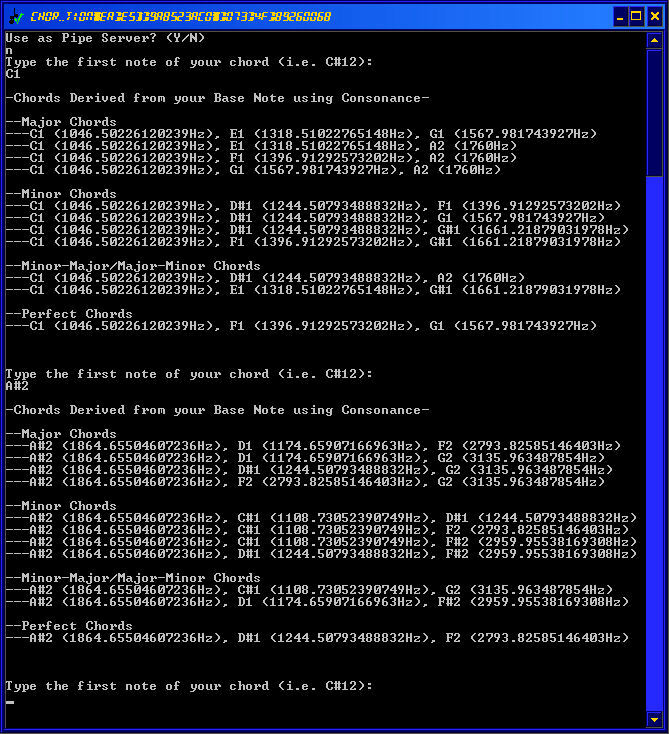 When a note is played on the keyboard it will request consonance information from the calculator; if the calculator is running in IPC mode it will process this request and respond to the client application with the consonance information. The calculator can handle requests from multiple instances of the keyboard client.